An instant classic, The Fifth Quarter was first published in 2004. 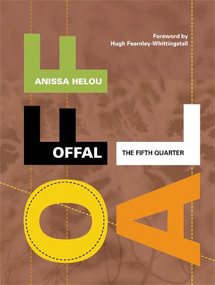 It has since been re-issued as Offal, updated and expanded with the addition of striking colour food photography and until very recently it was the only book in print in the English language dedicated exclusively to the subject of offal – a subject currently enjoying a resurgence in popularity and fashion. From foie gras to cod’s roe and from sheep’s head to testicles, Offal draws on recipes and traditions from all over the world.